9 Reasons Thrillist Is Wrong About Arkansas's Chain Restaurant Choice. 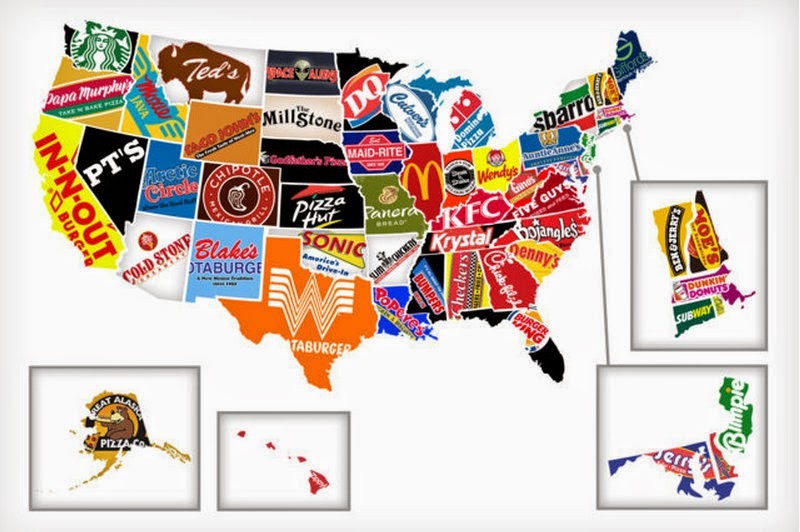 A nationwide website purports the most significant chain restaurants for each state. 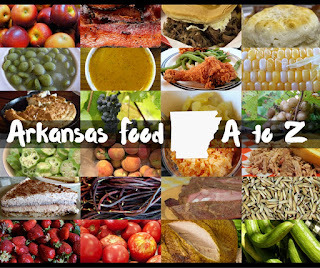 Kat Robinson gives nine reasons for while Thrillist is wrong about Arkansas. Thrillist put out a United States food map in August 2013 that allegedly purported to define said states by their most prevalent food chain. I'm guessing folks were smart enough to hide this from me, knowing the rant that would come when I discovered that this... website... chose Slim Chickens to represent Arkansas. Of course, my answer was ARE YOU FREAKING KIDDING ME? Now, an answer like that does nothing to progress the argument or educate the author... but a good blog about some better choices would certainly help. So here's suggestions on Arkansas chain restaurants that could have better fit that Natural State-shaped hole. That's... pretty weak. Just because there are 10 locations... hell, Matt, have you ever BEEN to Arkansas? I'm not dissing Slim Chickens. Their fried mushrooms are a guilty pleasure, and they do a decent job at quick chicken. I'm just saying that there are far better candidates for this representational map. Mexico Chiquito. Though there are just five official locations today, the Arkansas-based Mexican restaurant chain started in 1935 with the first "Little Mexico" in North Little Rock. 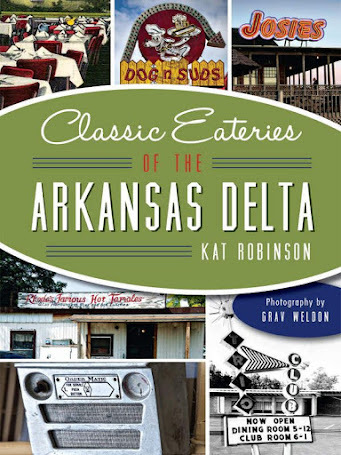 Blackie Donnelly's eatery not only grew to become the name of Ark-Mex interpreted food for Arkansas, he's also credited with creating cheese dip. The website. Whole Hog Cafe. A barbecue team known as the Southern Gentlemen's Culinary Society decided to open up a storefront in 2000... Ron Blasingame, Mike "Sarge" Davis and Steve Lucchi's original smoky pork bastion has now spread to 13 locations in four states. The joint's six different proprietary sauces ensure there's a flavor for everyone. The website. Andy's. 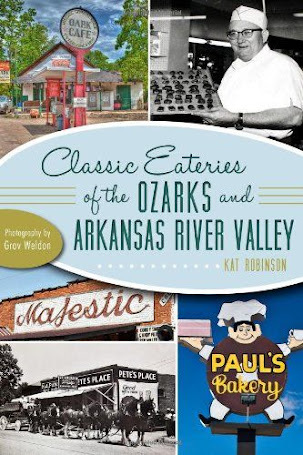 Founded in 1978, the burger chain specializes in lots of Arkansas favorites, including country fried steak biscuits and breakfasts, barbecue sandwiches and catfish. Its seven locations lie exclusively within Arkansas's borders. Website. Colton's. A group of restaurant veterans got together in 1996 and founded the first of these restaurants in Conway under the idea of celebrating America's West. Today, 30 locations in five states bear the name of this well-loved steakhouse chain. Website. TCBY. Originally "This Can't Be Yogurt," a similarly named shop elsewhere forced a name change first to "The Country's Best Yogurt" and eventually to TCBY. Founded in 1981 here in Arkansas, the restaurant swelled to 360 locations nationwide -- at one point, the tallest building in the state was named the TCBY tower! Today, TCBY has partnered with Mrs. Fields for even more options. Website. U.S. Pizza Company. Originating from an old clock shop in Levy back in 1972, this thin-crust pizza institution has spread to 13 Arkansas locations and still offers fresh, veggie-laden pizzas and salads. Website. Dixie Cafe. Though the website claims 1980 as the origin date for this Arkansas-based chain, that only refers to the first location put in Little Rock by its parent company, The Black Eyed Pea. In 1986, a split in management created the Dixie Cafe chain, which now operates 16 locations, mostly in Arkansas. 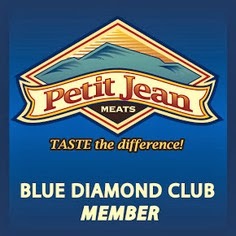 It also operates four Delta Cafes in Oklahoma. Website. Pizza Pro. Founded in Jacksonville by Scott Stevens, this economy-priced pizza chain has spread to more than 500 locations in 18 states. I know -- I worked for one of the first stores up in Russellville! And Scott Stevens is a pretty nice guy. Check out the website. Boulevard Bread Company. 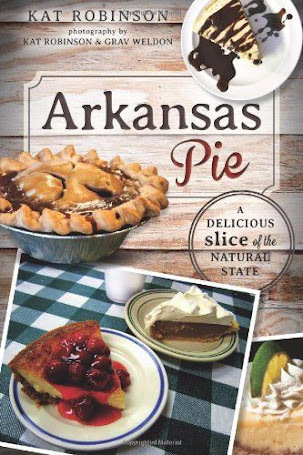 Originating in Little Rock in 2000, this popular bakery now operates four locations in Central Arkansas. Website. So, did Thrillist get this wrong? What Arkansas-based restaurant chain do you think needed to make this map? UPDATE: Fixed the number for Boulevard Bread locations. UPDATE: How in the world did I forget Larry's Pizza? With at least 14 locations and more on the way, this 1992 Arkansas upstart is expanding at a fanatical rate. Did you know there's one in Michigan? Slim Chicken's wants to be Arkansas' answer to Raising Cane's, but it's no where close. You can get better chicken at a gas station. Honestly, they should have just put Taco Bell for Arkansas. I'm not gullible enough to think that an Arkansan invented the Doritos taco (it's too generic an idea), but if Taco Bell wants to give him the (un)official credit, then so be it. The Doritos taco is legendary; a national treasure. All that's left is to be able to buy them in stores. Then I can die happy. Whatever happened to Andy's? They used to have a lot more locations. I'd personally vote for Whole Hog BBQ or US Pizza, but NEVER Slim Chickens. I ate there once and wasn't impressed by the food or service. I guess that, with only one location left, Minute Man would no longer qualify as a chain. But back in the day, it would have been the one to go with. Boulevard only has 4 locations and I wouldn't call them a chain since the owners have to work as hard as they do. I'd have to go with "Whole Hog Cafe," with Colton's a close 2nd. Love those places. I agree with asking "have you EVER been to Arkansas, [dufus]? mmmmmmmmmm..Mexico Chiquito! I wish we had one down here in Hope or Texarkana. I LOVE that place. The cheese dip is the best! Andy's? GROSS! You clearly haven't eaten at the one in LR lately.